Difference between revisions of "Eclipse DemoCamps November 2011"
*[[Eclipse DemoCamps November 2011/Washington|Washington, DC]], Tysons Corner, Virginia - Date December 2; Booz Allen Hamilton's Newman Auditorium as part of the [http://devignition.com/ DevIgnition] conference. 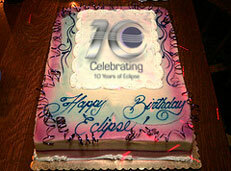 From November 1-30, we are inviting individuals to organize and attend Eclipse 10th Birthday Parties around the world. The birthday parties will feature both birthday cake and Eclipse demos! 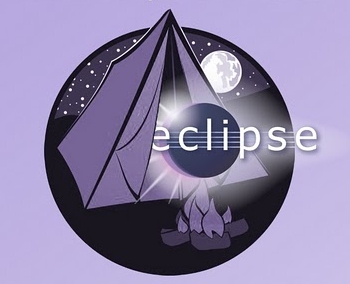 The parties provide a way to meet members of the Eclipse community in your area, and the demos are an opportunity to showcase all of the cool technology being built by your local community. To help you create the page for your event, we have a template. To use the template, open it for editing and copy the contents of the edit window to your clipboard, and then select "Cancel" at the bottom of the page to cancel the editing session. Open up your new event page for editing, copy the contents of your clipboard into the editing window, and make your updates. Please do not edit the template. Ariana, Tunisia - Wednesday 30 November. Washington, DC, Tysons Corner, Virginia - Date December 2; Booz Allen Hamilton's Newman Auditorium as part of the DevIgnition conference.